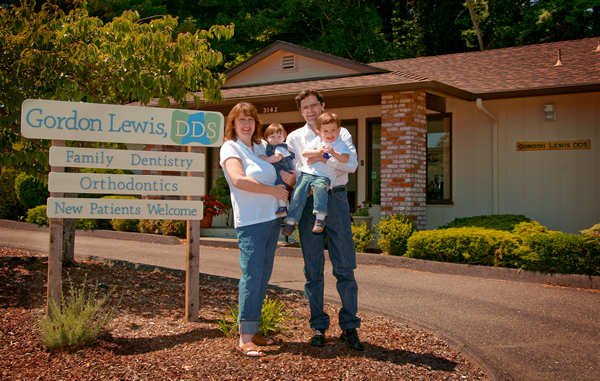 Gordon Lewis, DDS and staff welcome you to their dental office in Eureka. Please take a moment to meet our staff. Our practice is open from Monday - Thursday and early morning appointments are available, Friday by Appointment Only. We genuinely hope this site is helpful to you in learning more about our practice, dental conditions and treatments, dental recommendations, and more. Please browse through our website and be sure to contact us if you have any questions or would like to schedule an appointment. We are now offering same day CEREC crowns! Eureka dentist, Dr. Gordon Lewis is a dental professional dedicated to family dentistry and orthodontics with services including dental exams, dental makeovers, dental implants, veneers, crowns, orthodontics, cleanings, and more. Please call our dentist in Eureka, CA to schedule your next appointment.